Bali is a perfect holiday destination for travelers seeking a tropical climate, beautiful surf beaches, plenty of entertainment options and an amazing cultural experience. Whether you’re after a romantic holiday, an adventure holiday or a family holiday filled with excitement and relaxation, Bali has something for you. The relaxed and friendly nature of the Balinese culture means that you can escape the hustle and bustle of modern western life, but there is also another side to Bali. 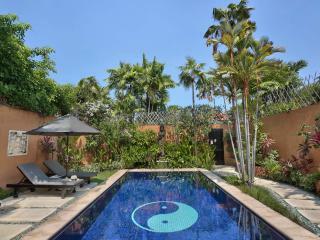 Bali is renowned for its range of amazing restaurants, bars and nightlife. So after relaxing by the pool or the beach all day, you can walk or catch a tuk tuk (local name for taxi) to a broad selection of bars and restaurants. Holidays in Bali can be as exciting or relaxing as you desire with a huge range of activities to try and sights to see including countless beautiful locations to simply do nothing. There are a large number of day tours available so you can experience the local sights and culture, all of which can be booked through your Bali Hotel or Resort. It is also important to understand the transfers, flights and tours that are available in Bali and how these can be put together for special Bali holidays. Bounty Hotel Bali - Catering mainly for the younger crowd, this hotel has a wide range of cheap rooms. 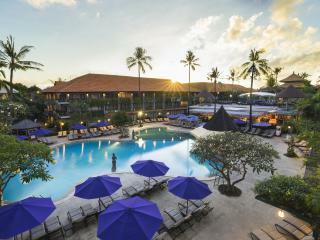 Hard Rock Hotel Bali - Rock star inspired holiday accommodation right on the beach. 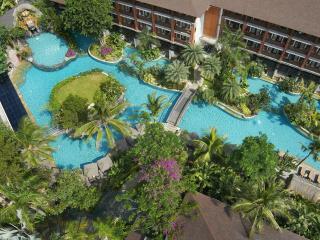 FuramaXclusive Ocean Beach, Seminyak Bali - Stunning Bali holidays destination found on Legian beach. Bali Holiday ResortAside from giving you the cheapest prices available online, we also do the little things that mean so much when you’re traveling to a destination like Bali. We can coordinate your airport and hotel transfers, organise your travel insurance and advise the Hotel if you have any special requirements. And it’s fast! You will receive Instant Quotes and a personalised booking service with an experienced travel consultant to help answer any questions you have about your Bali Holiday. 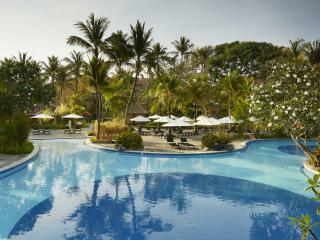 We also have special holiday offers available for Fiji Holidays, Cook Islands and Vanuatu.